Containment on the fire is 63%. Today will be mostly sunny in the morning with temperatures in the high 70°s, minimum humidity 22-26% and 5-10 mph winds from the ENE gusting to 20 mph. Clouds will form in the afternoon with isolated showers and thunderstorms in the midafternoon. Winds near thunderstorms will be gusty and erratic, with gust up to 30 mph. Rain on Sunday, higher humidity during the evenings and use of the gel enhanced water drops have given us advantageous conditions to fight fire. 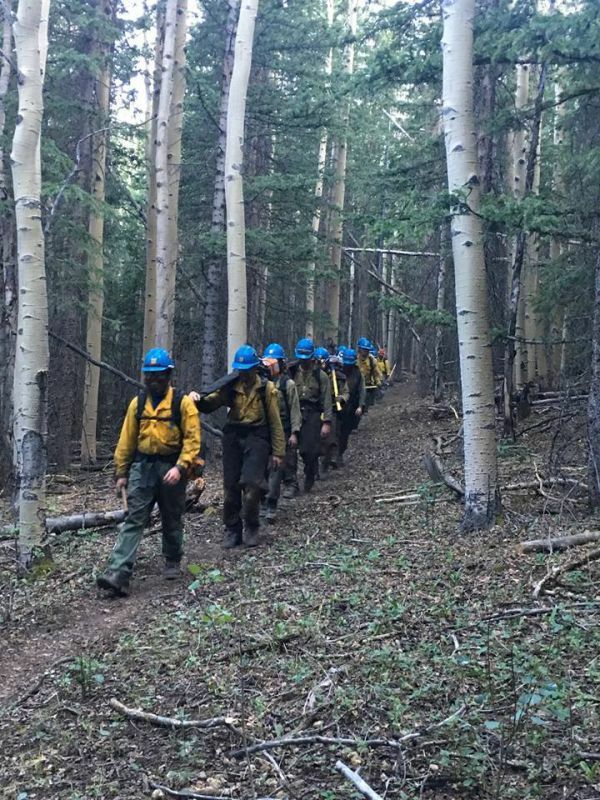 As a result, firefighters will be able to safely access the spotty fire in the Buffalo Peaks Wilderness (BPW) area. Firefighters on the north side continue to patrol and secure line. Park County will continue to work on CR 22. On the east side, crews continue to secure and hold the perimeter. Rehab (returning the land to a more natural state) is continuing along the dozer lines. Division P will continue to secure the fireline to the BPW with the goal of increasing containment. Helicopters will be available for bucket drops to assist firefighters on the ground. Chipping operations will be completed along contingency lines on the south side of the fire. Yesterday, helicopters bucket-dropped 17,010 gallons of gel-enhanced water on the hotspots in and near the BPW. Hotshot crews on the ground used Infra-Red (IR) maps to help locate hotspots on the west side of the fire and guide bucket drops to specific locations. Crews will construct contingency line from DP 55 west to the Lynch Creek Trailhead. Hotshot crews will improve and secure the fire line from the BPW boundary to the north. Some resources will be available for initial attack in case of new fires in the area. Engines will patrol tonight to assure the fire stays within the containment line. Today, there will be a medical emergency simulation exercise for training air, medical and communication resources. The speed limit on Highway 285 is posted at 50 mph and there is no stopping in the fire area. Hotspots throw up smoke during the sunny, warmer weather on Monday afternoon. 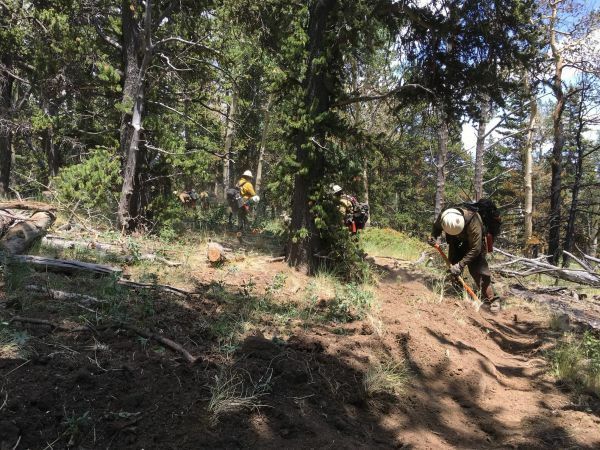 Smokes from hotspots near Buffalo Creek were worked yesterday by shot crews, including the Craig Hotshots. They got support from Air Ops, which made water drops from a Sikorsky Sky Crane and gel drops from three K-Max heavy helicopters. 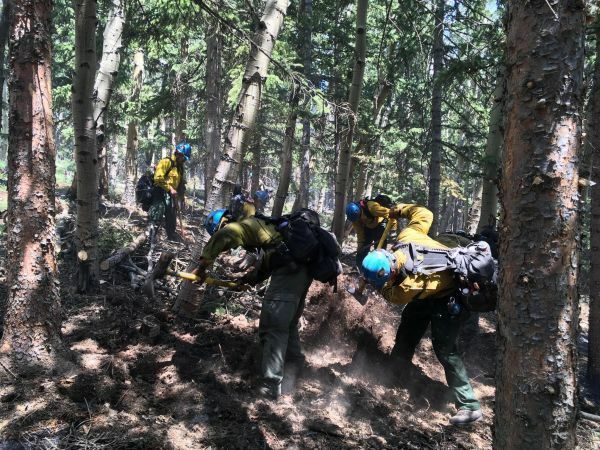 More about the Craig Hotshots and individuals who are working the fire can be found at https://www.facebook.com/westonpassfire/ . All evacuations have been lifted. "Public Information Officers with the Rocky Mountain Incident Mangement Team. As the fire begins to wind down, we want to express our thanks to the residents of the area who have been so supportive of our efforts. 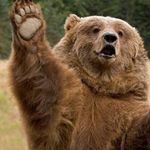 We have loved the time we spent getting to know all of you....Fairplay and Park County will always have a place in our hearts." Management of the fire is being returned to local resources. It remains at 13,023 acres, and is now 64% contained. With fire activity diminishing, management of it will be transitioning to a smaller organization and local resources over the next few days. All evacuation orders have been lifted, though residents are reminded that they may have to leave, again, should conditions change. 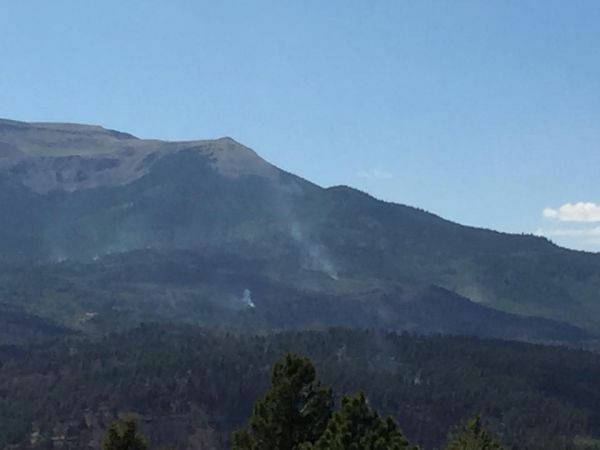 The goal now is not 100% containment as about 10% of the fire line lies in the Buffalo Peaks Wilderness Area. Because of the terrain and lack of accessibility, it can not be effectively fought given the cost of resources and risk to personnel. The goal is, therefore, 90% or more containment. The numbers have not been updated, yet, this morning. They are still listed as 13,023 acres and 64% contained. Weston Pass Updates will now be published once a day. Facebook and Inciweb will be updated during the day as needed. Humidity recovery only reached the mid 40s last night. Sunny skies in the morning will bring temperatures to the mid 70s with some clouds moving in late morning. Low humidity will be in the mid 20s with winds out of the east 8-13 mph. Isolated showers and thunderstorm activity will begin around 11:00 AM. Winds near thunderstorms will be gusty and erratic, with gusts up to 35 mph. 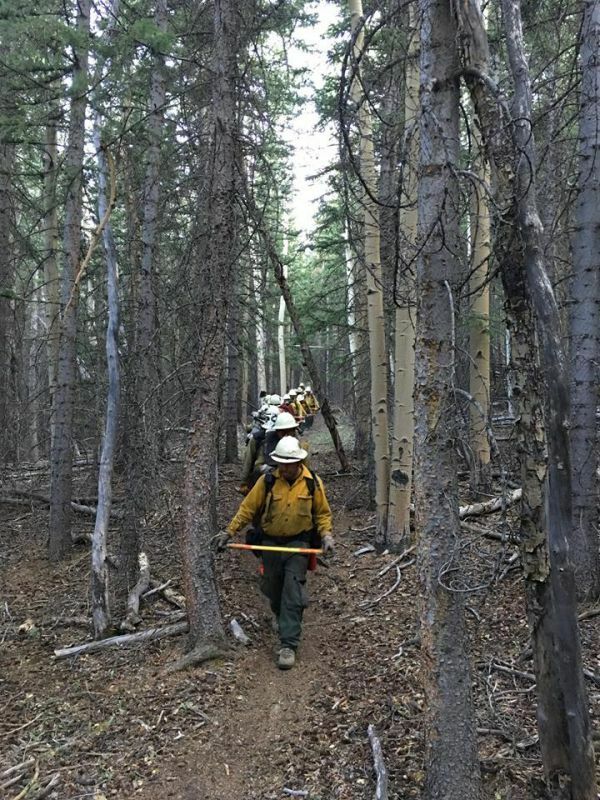 Conditions continue to allow firefighters to safely access the fire in the Buffalo Peaks Wilderness (BPW) area; warming drying trends will allow more fuel to burn, especially in the afternoon. 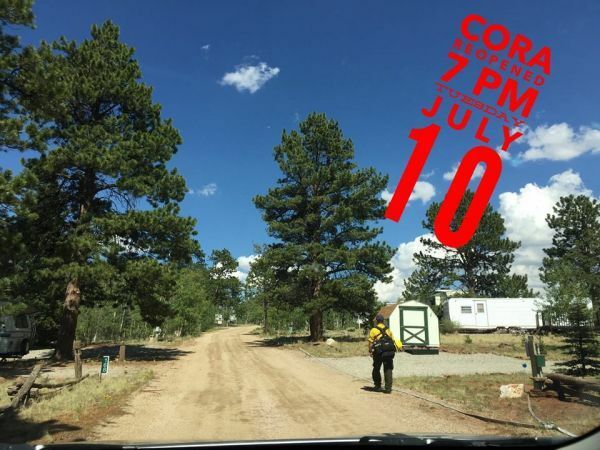 Containment lines and aerial bucket drops will limit fire spread. This fuel condition will provide the possibility of visible smokes from within the interior of the fire. Fire personnel will be monitoring fire behavior with lookouts and aircraft. Almost half of the fire personnel will be working on the west side of the fire in and around the BPW area. On the north side firefighters continue to patrol fireline and protected structures. Crews will secure and hold the perimeter on the east side along HWY 285. Rehab continues along the dozer lines. Division P will hold and improve firelines from FS 433 to BPW boundary and secure fire perimeter west to the BPW boundary. Along contingency lines to the south crews will be rehabbing along FS 435 to reduce chipper debris. Crews are improving contingency line from DP 55 west to the Lynch Creek Trailhead utilizing Trail 618 and the road system. Hotshot crews will improve and secure fireline from the BPW boundary to the north. The dozer line between Division A and Z will be patrolled to determine containment. Closures remain in effect in the Pike National Forest including the lands south of CR22, north of Trout Creek Pass, the entire BPW, and west of HWY 285. Please visit https://www.fs.usda.gov/psicc for more information. CR 22 is open to the public. All mandatory evacuations are lifted. 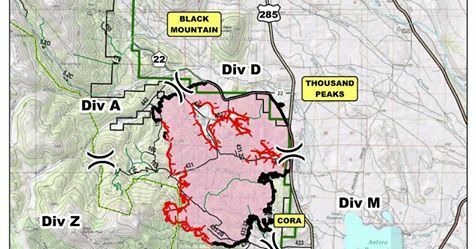 CR22 [Black Mountain area] and CORA are on pre-evacuation status. Visit http://www.parkco.us for up to date information. The speed limit on Highway 285 is posted at 50 mph; there is no stopping in the fire area. 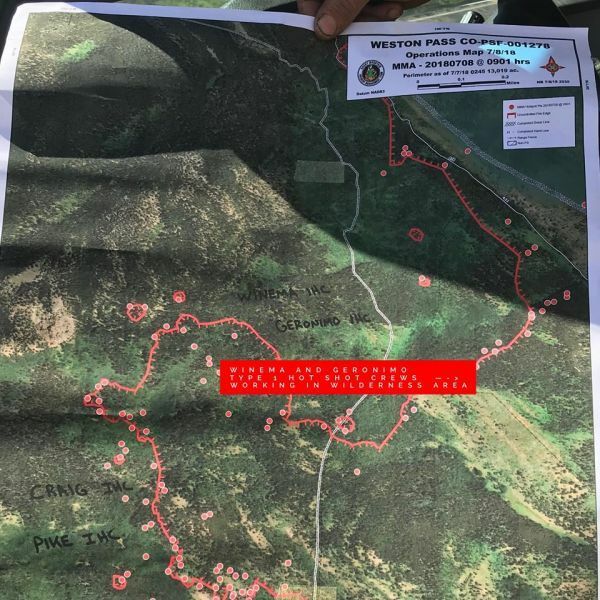 Buffalo Peaks Wilderness Area remains to be the most problematic area of the active #westonpassfire. Type 1 Hot Shot crews have been working in this difficult terrain for several days. 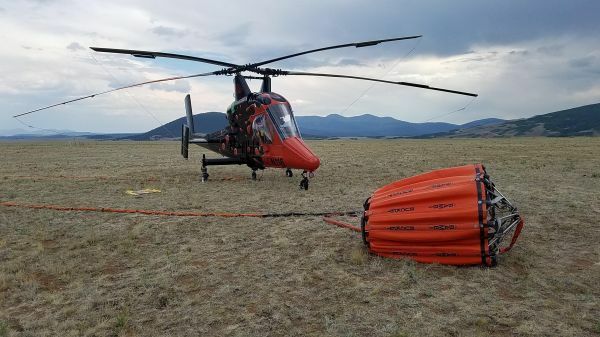 Winema Hot Shots are based out of Klamath Falls, Oregon. Geronimo Hot Shots are a 20 person crew from southeastern Arizona. Geronimo creating fire lines in the steep, slopes of Division Z in the Buffalo Peaks Wilderness Area. Winema working hard to contain the fire in the Wilderness area. Secure established lines.. continue constructing direct fire line where possible and indirect line with support from aircraft.. patrol and mop up.. suppression repair where appropriate. *12 Hours: Hot, dry weather is continuing to dry fuels, with additional spotfires adjacent to the fireline showing up. *24 Hours: Possible chance of rain with higher humidity and lower temperature will moderate potential fire behavior. *48 Hours: Continued mild conditions will moderate potential fire behavior. *72 Hours: Fuel moisture will drop, increasing potential spread rates and flame length. All mandatory evacuations have been lifted. CR 22, the Weston Pass Road, is open to the public. Buffalo Peaks Wilderness Area remains closed. Google Earth flyover of the #WestonPassFire. There is no audio with this video. The flyover starts on the west side of the fire and moves north to County Road 22 and then east towards Highway 285. It then continues south along Highway 285 to CORA and then back to the west ending at Buffalo Peaks Wilderness.